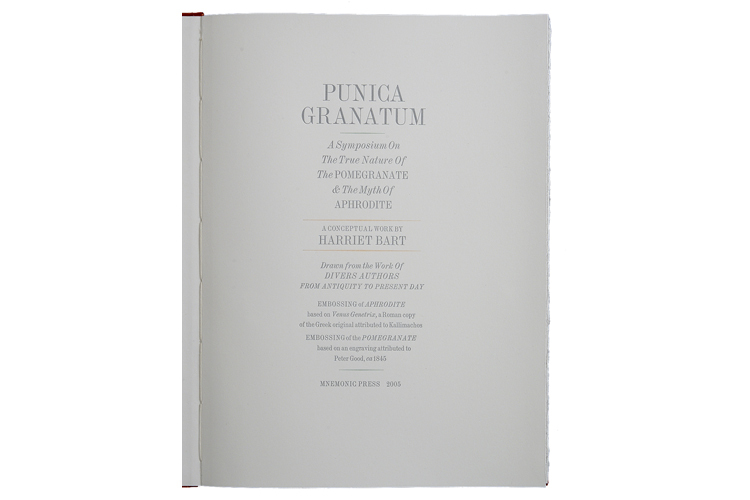 Punica Granatum was inspired by Harriet Bart’s travels through Israel in 2000 and 2001. The profusion of pomegranate trees, and the many images of them inscribed on ancient stone fragments, fired her interest in this fruit of the gods. In 2002 Bart cast pomegranates in bronze. That work led to the creation of Punica Granatum, in which the pomegranate is presented as the fruit of love and seduction. 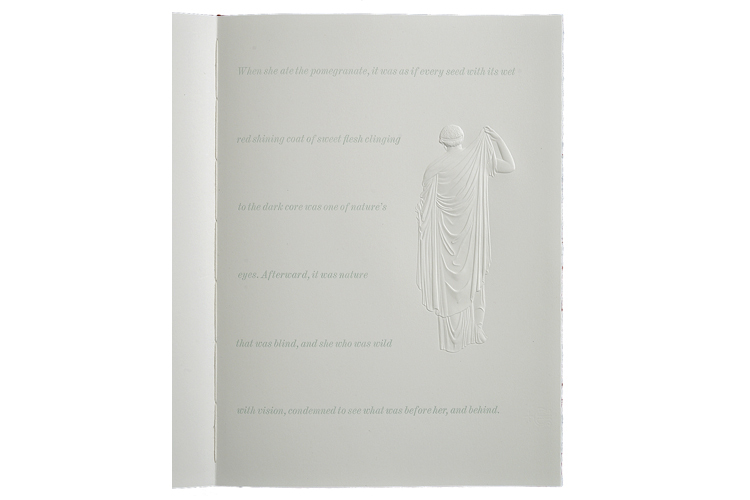 Excerpts from classical and contemporary sources are threaded together to form a new text that extols the mythic powers of the pomegranate.